Our very own James carrying arrows back from the target. First of all, it’s important to note that there are several different types of competitive archery. There’s World Archery Federation rules, formerly known as Federation Internationale de Tir a l’Arc or FITA style archery. WA rules are covered by ArcheryGB in the UK. This is what is used in major international tournaments like the Commonwealth Games, and it comes under the bracket of modern ‘Target Archery’. This type of archery is relatively new in the lineage of this historic sport, and comes in different forms. WA archery can take place in indoor competitive spares or outdoors, with the former taking place over distances of 18 to 25 metres. Outdoor competitions vary in distance from 30 through to 90 metres. Two types of bows are typically used, either recurve or compound bows. The competition is divided up into what are known as ‘ends’, sets of arrows which are fired in groups of 3 to 6, and within a fixed amount of time. The targets they are aiming for are made up of 10 circles arranged inside one another, and valued from one through to ten. The central ring is also known as the X ring, and is valued at 10. The base for archery targets is made up of cloth stuffed bags or foam. They vary in diameter, from 40 centimeters, which is used in 18 metres indoor competitions, to 122 centimeters, which is used in 70 to 90 meters WA competitions, such as the Commonwealth games and other major sporting events. This form of competitive archery harks back to older versions of the sport, and as such, takes place outside, often in territory which is unmarked, over a variety of distances. The major body governing this sport is NFAS (National Field Archery Society) in the UK, and NFAA in the USA. NFAS operate their competitions typically in woodland, over distances which are unknown, and aimed at 3d targets and paper animal targets. They use 10 types of bow, including longbow, crossbow, compound limited and barebow, and cover adult, junior and under 12s, holding events up and down the UK. This runs along GNAS (Grand National Archery Society a.k.a ArcheryGB) rules in the United Kingdom. It’s similar to traditional target archery. are fired in a group, as part of the competition. Unsurprisingly, the best way to get involved with competitions is via the relevant UK body. ArcheryGB has 45,000 members and represents 1,300 clubs. It is the national governing body for the sport from grass roots to elite competition level, and runs a variety of courses from beginners to coaching and advanced level. To get started, you can use their Club Finder. These provide a good starting point for both recreational and competitive archery. There is support for disabled archers. Meanwhile, NFAS focuses on promoting traditional field archery as a sport, from shooting events, all the way up to coach training and competitions. 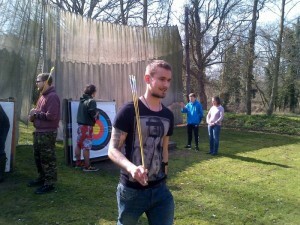 As with ArcheryGB, you can apply to be a member on their website. Archery equipment can be hired from a variety of sources if you just want a taste – clubs can often help with this. Those who wish to commit to the sport will find affordable entry level equipment for around £100 to £300, with second hand equipment also available from a variety of sources (it’s best to have this checked by a professional before purchasing). You can contact our staff via telephone or email for advice on what archery supplies to get. In order to become the best, you’ll need to keep up to date with the biggest names and the best writing on archery. We regularly publish archery content here at Pellpax on our blog, and you can also head to the ArcheryGB website, which is regularly updated with news about the sport. 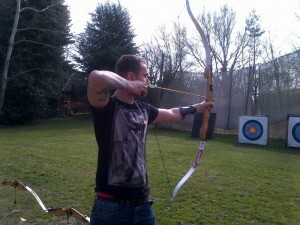 They also produce Archery UK, their own magazine. Then there’s Archery360, which produces great content, and Bow International, another fantastic resource for archers. For a calendar of the big sporting events this year, including the World Archery Cup, which takes place in Odense in September, check out this guide provided by the World Archery Federation. Big events also take place in Dublin, Marrakesh, Bangkok, Shanghai and Las Vegas in 2016, too. 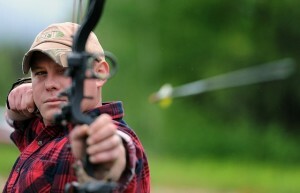 Stay tuned to our blog to learn about all things archery-related. And grab all your archery supplies from compound and recurve bows, to archery targets, quivers and more, in our archery store.